Since its inception, FAVER has relied on 100% sponsor funded research, including federal, state, private, and industry funding. 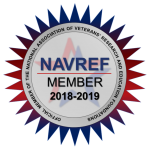 In these changing times of increasingly intense competition for external funding, we recognize that translating research innovations into health improvements for Veterans is larger, more inter-disciplinary, and requires more specialized infrastructure than traditional grant funding alone can address. To fully realize our purpose, we depend on the support and generosity of individual donors. As part of expressing our ethical standards, we are committed to our role as stewards of the research funds we are privileged to administer. This includes funds entrusted to us by our donors. Thank you so very much for considering to give in support of Veterans’ Health. We are committed to make the best use of your donation and treat it as we would if it were our own personal money. FAVER is a nonprofit organization designated as tax-exempt under Section 501(c) 3 by the Internal Revenue Service. Donations are tax-deductible to the full extent of the law. Our tax ID is #58-1857346. The easiest, and most immediate way to donate is to make a PayPal donation. Because FAVER is registered as a charity with PayPal, we benefit from reduced transaction fees to maximize the value of your donation. The PayPal mechanism generates an automated confirmation email for you, but FAVER will send you a donation receipt within two weeks of your donation for tax IRS purposes. 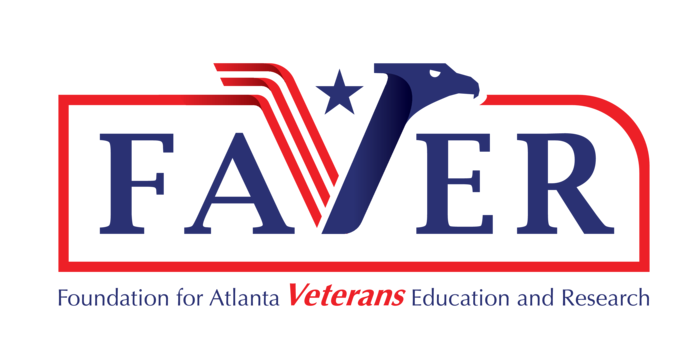 Donating by mail or in person with a check payable to FAVER or the Foundation for Atlanta Veterans Education and Research is a convenient way to donate. There are several options on how to donate or indicate the purpose of your donation. For your convenience, we created a form to determine your preferred options. But remember, this form is just there for your convenience if you wish to tell us more about your intent of giving. You can also simply put a check into an envelope and mail it to our offices with a little note that you wish to donate the enclosed amount to FAVER. Your donation will be applied to a current research need. If you wish to designate your donation to a particular area of focus, please tell us. We will be delighted to accept your donation either in honor or in memory of someone special in your life. Maybe you wish to make a donation to honor the sacrifices of a veteran in your family? Or maybe you wish to make a contribution to research to commemorate the loss of a loved one? If you wish to make it known to the person in whose honor you are making a donation, or to the family member of the person in whose memory you are making a contribution, please give us their contact information so we may send them a notification. The donation amount will remain confidential.